macOS native meet-up is the meet-up event after macOS native symposium #03. The aim of the event is to come to know macOS developers who are hard to meet in the real world (comparing with the iOS developers ;P) and to exchange ideas about macOS dev. This meet-up is just a gathering to chat about macOS dev and drink/eat good food together in a restaurant. 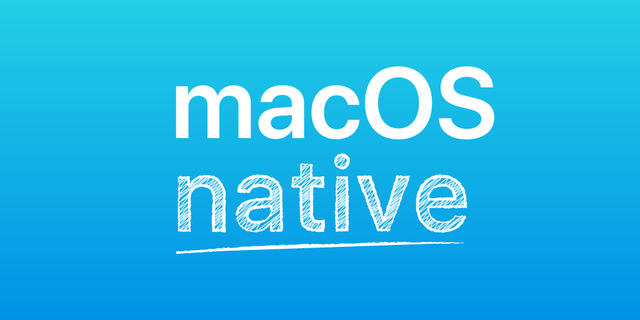 If you want to hear the presentation part, register also to macOS native symposium #03. Everyone who develops (or is interested in developing) applications for macOS. Although this event is a spin-off of macOS native symposium and try! Swift, attending them is not required for this meet-up. Likewise, developers who still use Objective-C or UI designers who don't write code are also welcome. The most important thing is the passion for macOS application development. The organizer is Japanese but also speaks (non-fluent) English. Share the expenses what we ordered. The meet-up will be held on 24th Sunday, the day after the workshop of try! Swift Tokyo 2019, at a cafe restaurant Glorious Chain Café SHIBUYA which located near Shibuya station. The meet-up will start at six o'clock pm; The table is reserved under the name "macOS meet-up". The organizer, 1024jp, is a person who loves native macOS apps, and develops macOS apps, such as CotEditor and Gapplin, in private time. Fluent in Swift, Objective-C, AppleScript, and Python, but also draws graphic parts for the user interface. This year, 1024jp will be the first speaker of try! Swift Tokyo 2019.
macOS native meet-up #03 は、macOS native symposium #03 の懇親会パートです. 1024jp published macOS native meet-up #03.
macOS native meet-up #03 has been published! I joined macOS native meet-up #03!